Carter Berger’s seven points in three games earned the Grizzlies blue-liner BCHL player of the week honours. Boasting the second-most goals in the B.C. Hockey League, offence is certainly not an issue with the Victoria Grizzlies, as Alex Newhook is second in league points and Carter Berger the top scorer among BCHL defencemen. Newhook had two goals and two assists and Berger two goals and an assist in Sunday’s 6-2 victory in Surrey against the Eagles. Newhook has 13 points in his last six games and is starting to show why the native of St. John’s, N.L., is projected for the first round of the 2019 NHL draft by Central Scouting, Bob McKenzie and just about every other prognosticator out there. Newhook trails former Victoria Royals WHL player Ty Westgard of Surrey by one point in the race for the BCHL scoring lead with Westgard on 31 points and Newhook 30. “My linemate Alex [Campbell] really set me up well in Surrey, so I have to give a lot of credit to him,” said Newhook. Campbell indeed is proving no slouch, either, as he rapidly moves up the board in several 2019 NHL mock drafts. “We’re really starting to click, and I thought we controlled the puck well on the Olympic-size ice sheet [in Surrey],” said Newhook. Give these guys that added space and they are likely to take advantage of it. The on-ice performances of Newhook and Campbell are straightforward enough for scouts to see and judge. It’s also been an interesting process off the ice with being probed recently in interviews with NHL scouts looking to gauge character traits. “I’ve talked to a few of them from different teams so far,” said Newhook, who is committed to Boston College, while Campbell is headed to Clarkson of the NCAA. Berger, meanwhile, was named BCHL player of the week for his five goals and two assists as the Grizzlies completed their three-game road trip with a 2-1 record following the victory Sunday in Surrey, 4-2 win Friday in Chilliwack against the Mainland Division-leading Chiefs and 4-2 loss Saturday in Merritt against the Interior Division-leading Centennials. The native of North Vancouver, who was a free-agent invitee to the Anaheim Ducks’ summer prospects camp, leads all BCHL blue-liners with 23 points. That is five points clear of the next closest rival while also leading all defencemen with 10 goals. Berger recently committed to play NCAA Div. 1 for the UConn Huskies and seems ready to tear up the rink at a school best known for basketball. “We have one of the most-skilled teams in the league,” said Berger. Island Division-leading Victoria (12-7-1) also got goals from Marty Westhaver and Cameron Thompson in Surrey as they continued scoring runs of late. 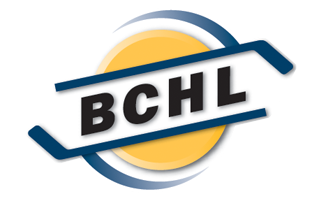 Especially since Chilliwack (15-6) and Merritt (12-8) are in the elite tier of the BCHL this season. Although Surrey (6-15) is lowly, the Eagles did nick the Grizzlies in a 6-5 shootout in their previous meeting. That made Sunday’s victory an act of sweet vengeance for the Victoria players. “We redeemed ourselves in Surrey and got some revenge,” said Berger. Newhook was named an honourable mention behind Berger in the player-of-the-week sweepstakes. “I thought we played well this weekend — the win in Chilliwack was definitely a big one — and even the loss in Merritt was a close game,” said Newhook. While most of the attention was on the offensive production of players such as Newhook, Campbell and Berger, Grizzlies goaltender Kurtis Chapman returned from injury to put up some good crease road numbers. The 20-year-old had 118 saves on 126 shots for a .937 save percentage and a 2.68 goals-against average in three games to also be cited as an honourable mention for player of the week. “[Chapman’s] return was huge for us,” said Newhook. 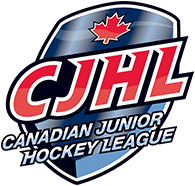 The Grizzlies will host the Trail Smoke Easters on Friday night and the Nanaimo Clippers in a Sunday matinée, both at The Q Centre.